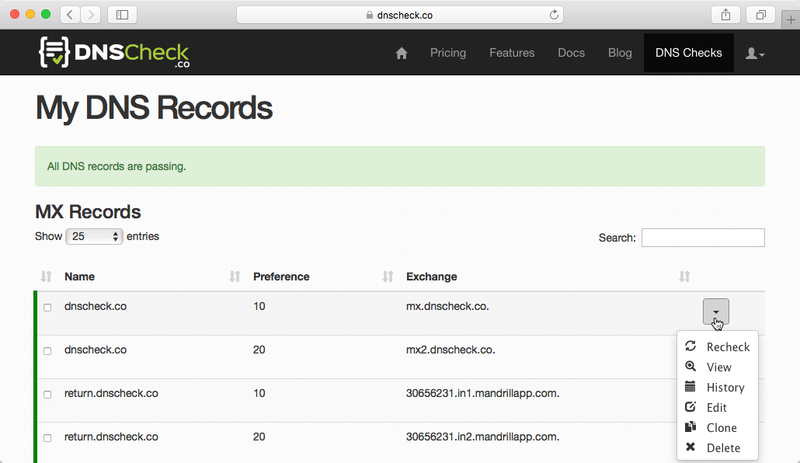 Monitor DNS records and name servers for changes and lookup failures. Get notified if something changes. Import your entire zone file or just those records that you want to be monitored. Request DNS record updates by sharing a link that shows which records are posted correctly, and which aren't. Get notified as updates are detected. Quickly troubleshoot and resolve DNS issues. If something's broken, our DNS checker allows you to identify whether it's there's a DNS issue involved and if so, what to fix. You can also enter individual DNS records to check.